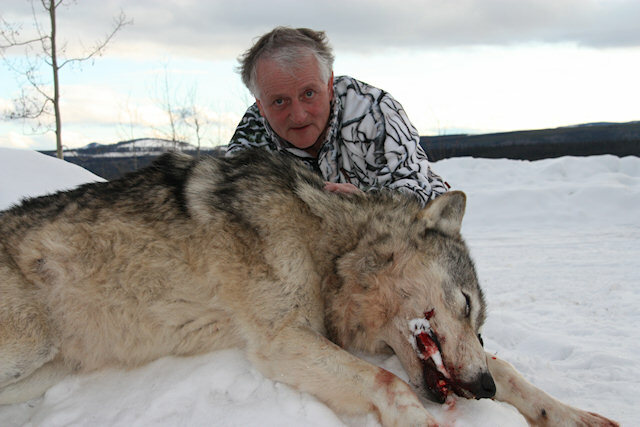 The Grey Wolf, also known as Timberwolf, is the largest wild member of the Canidae Family. The coloration of Wolves varies greatly from snow white to coal black and all the intermediate degrees of cream, grey, and brown. 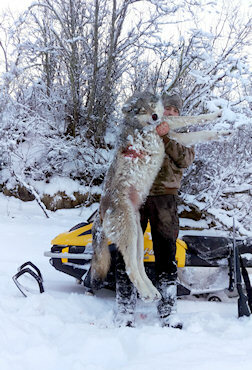 A large male Wolf may measure over 2 m in length and stand almost 1 m high at his shoulders. Their weight can vary from 28 – 80 kg. 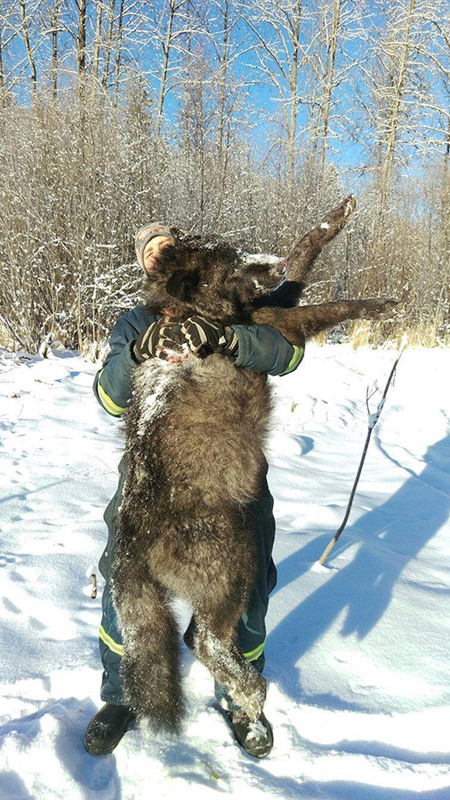 The largest Wolves are found in Northwestern Canada. 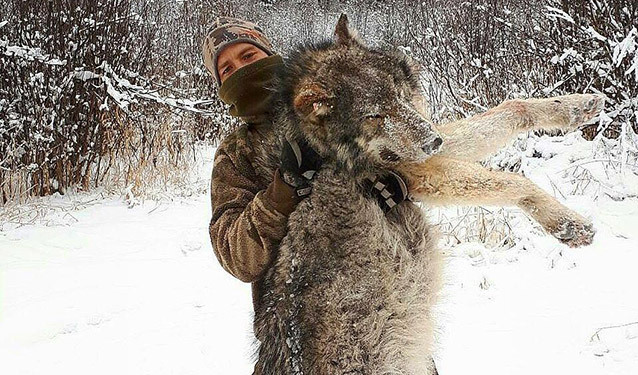 Grey Wolves are highly adaptable and have thrived in temperate forest, deserts, mountains, tundra, taiga, and grassland. They have good hearing, a sharp eyesight, and a well developed sense of smell. 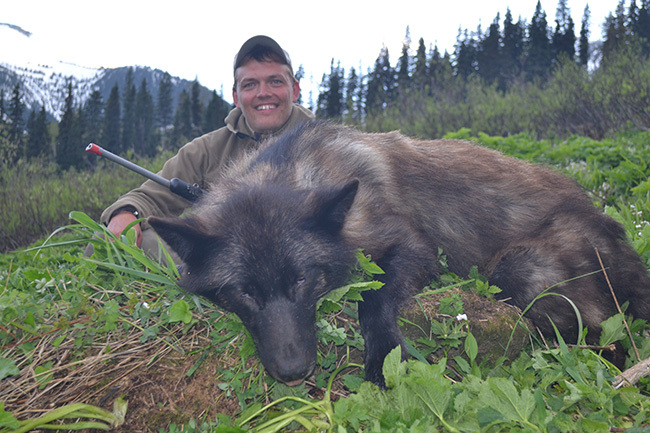 Timberwolves can be harvested in combination with any of our big game fall hunts. 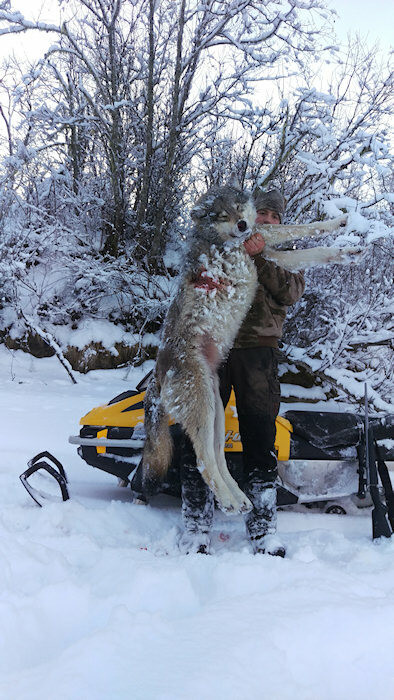 For a true wolf hunting experience book one of our winter wolf hunts where snowmobiles and predator calling techniques will be utilized. 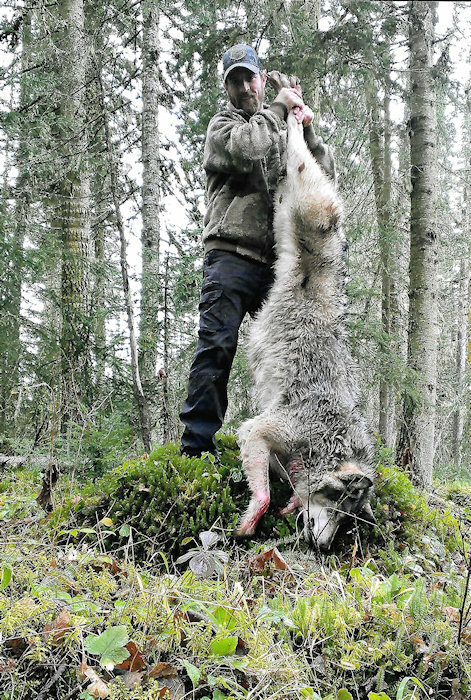 We encourage all Hunters to secure a Wolf tag, since there is always the possibility of taking a very nice Trophy.